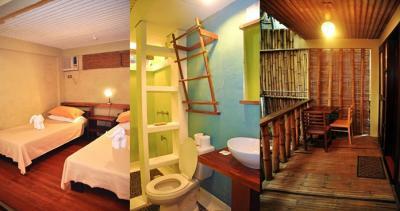 The Lazy Dog Bed & Breakfast is located near Bulabog Beach in Boracay Island, Philippines. Boracay is a tropical paradise known worldwide for its powdery white sand beaches and party vibe. The Lazy Dog Bed & Breakfast offers basic yet comfortable accommodations in Bulabog, which is the center of Boracay's kite-surfing zone. It is one of few places left that has maintained "the old Boracay feel" with its relaxed pace and cozy atmosphere that makes you feel right at home, with its touch of creativity using recycled materials. Lazy Dog is situated away from the usual touristy traps yet still conveniently close if you decide to join the crowd. 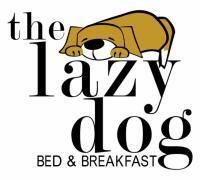 Within the hotel's facilities is the Lazy Dog Café which serves breakfast, lunch, snacks and dinner. Guests and visitors are welcome to lounge in the deck to read a book, have a drink or just chill out. The hotel has rooms good for those who travel by themselves, in pairs or even in groups. Below are details of each room type we have available. Each room has a simple balcony where you could have breakfast looking out the garden or courtyard.